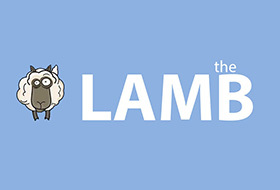 Just a reminder to send in any movie related question or problem you have for the brand new Ask The LAMB feature! I’m accepting questions until Friday the 13th. Send in your questions to invasionofthebmovies@gmail.com! If you don’t remember what I’m talking about, read the first edition here! REMINDER: LAMB PHOTOSHOPS #12 DUE!! CS, of Big Thoughts from a Small Mind, reminding you that today is the last day to submit your LAMB Acting School 101 pieces on Samantha Morton! Here are the rules in case you forgot. 1. You have until Monday March 19th at 11:59PM EST to send in your Photoshop. Don’t forget, I’m putting the call out for links from you on the Alien franchise to include with the LAMBcast post for our Alien episode. The episode/post will be up this Sautrday, March 10th. So, any reviews or features you might have written on any of the Alien films (even the relatively lousy AVP films, though we didn’t discuss them much on the LAMBcast) are welcome.